The ACT Government appears to be having a shocker with Capital Metro. That's because the transformation of Canberra is not being sold as part of the light rail package. The debate would be better served if it was not about light rail as a panacea for Canberra's public transport woes, but about how we want our city to be in the future. The most recent poll, commissioned by Unions ACT, found that 39% of respondents support a light rail system for Canberra. This differs from the ACT Government's poll where 55% of respondents are in favour of the Gungahlin to Civic light rail route. Further, if we compare those opposed to light rail (46% from the Unions ACT poll) with the results from the ACT Government poll (34% opposed to light rail), one might wonder what Unions ACT is trying to achieve. What is clear is that if we asked Canberrans if they wanted to see an improvement in public transport, the answer to any poll would surely be "yes". 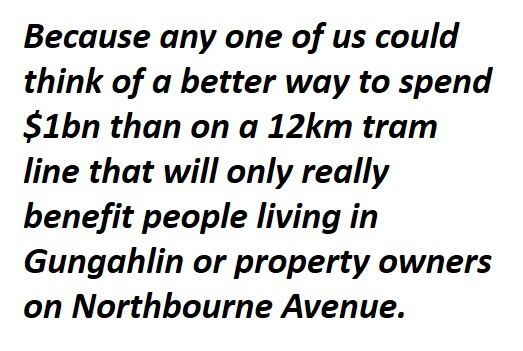 But what difference will Capital Metro make if you don't live in Gungahlin? Will the projected 3,500 jobs be enough to make the investment worthwhile? The current public transport system is dominated by Action, Canberra's government-owned bus system. Regrettably, it has a new motto: "Not In Service". Stand at a bus stop on any main road and you will see several buses displaying "Not In Service" on the banner as they drive by. At least that's been my experience for a long time now. What has this got to do with light rail? Well for one thing, the ACT Government's own 2014 poll suggested that many Canberrans believe there are "better ways to improve public transport in Canberra" without the $1bn price-tag attached to the proposed light rail system. 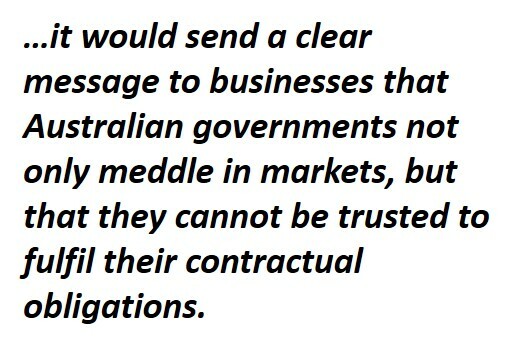 Graham Downie from The Canberra Times has argued this position for some time. Improving the existing bus service would cost far less than $1bn. With the unions having a firm grip on the bus system, this is easier said than done, so we shouldn't hold our collective breath. But privatisation of Action, with adequate regulatory measures to ensure accessibility of the services, couldn't make Action any worse than it is now. Scrapping Capital Metro, a move that has been encouraged by the Andrews Government's recent cancellation of the East-West Link in Victoria, is now on the cards. However, the ACT Opposition has been warned by the Assistant Infrastructure Minister that cancelling the Capital Metro contracts would be 'economic lunacy'. 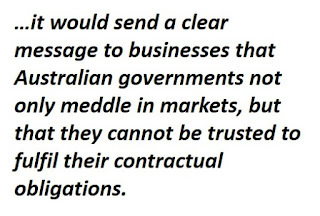 Not to mention that it would send a clear message to businesses that Australian governments not only meddle in markets, but that they cannot be trusted to fulfil their contractual obligations. The issue for the federal and territory governments is that Capital Metro is now part of the federal asset recycling scheme. History readily demonstrates states' and territories' willingness to amend policy when federal funding is on offer. And with the ACT accepting the offer already, the feds are no doubt keen to see the project go ahead. This is where the problems begin. First, the initial stage of light rail may not provide a solution for our public transport woes, nor should we think that it will. Action is the biggest problem and this needs to be dealt with now. Unless, of course, the ACT Government intends to use Capital Metro as a way to reform Action. Second, what type of city do we want to have in the future? Burley Griffin's ideas are regularly thrown out and back in, we hear ex-politicians saying we are spoilt for green space in the city so this needs to go, then we are the Bush Capital, then the bushfire capital and so on. There really is no vision - look at all the people trapped in Crace. Third, capturing the increase in value of nearby properties resulting from Capital Metro will more than likely end up as a new property tax. Some pundits think this is a good idea. But tell me when a privatised asset has ever made a profit just from ticket sales, and while you are at it, tell me how a tax is good for business? Surely there are better ways to capture value that will entice investors rather than tax collectors. Fourth, the trees and the old public housing along Northbourne Avenue won't survive the Capital Metro. This may well be an opportunity to revamp the gateway to Civic but it won't be easy to address the concerns of many Canberrans. The response so far has been to adopt the Latimer House Principles to limit appeals against Capital Metro to judicial review. Finally, there is the lack of a detailed cost-benefit analysis.A cost benefit analysis should include a series of scenarios such as "do nothing", "reform Action" and "with Capital Metro". There is a business case, but government is not a business. And Capital Metro is not really about public transport. Despite best practice everywhere in the world, including the advice of the Productivity Competition's Public Infrastructure Review, Infrastructure Australia and COAG, the cost-benefit analysis in section 6.2 of the business case is rather anaemic. Why? 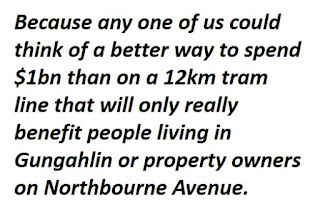 Because any one of us could think of a better way to spend $1bn than on a 12km tram line that will only really benefit people living in Gungahlin or property owners on Northbourne Avenue. So while Action is comfortably "Not In Service", and Capital Metro is set to replicate the Red Rapid buses that go from Gungahlin to Civic every 15 minutes, people in suburbs not on a major bus route will be forced to keep driving their cars. It is difficult to see how this can be value for money. 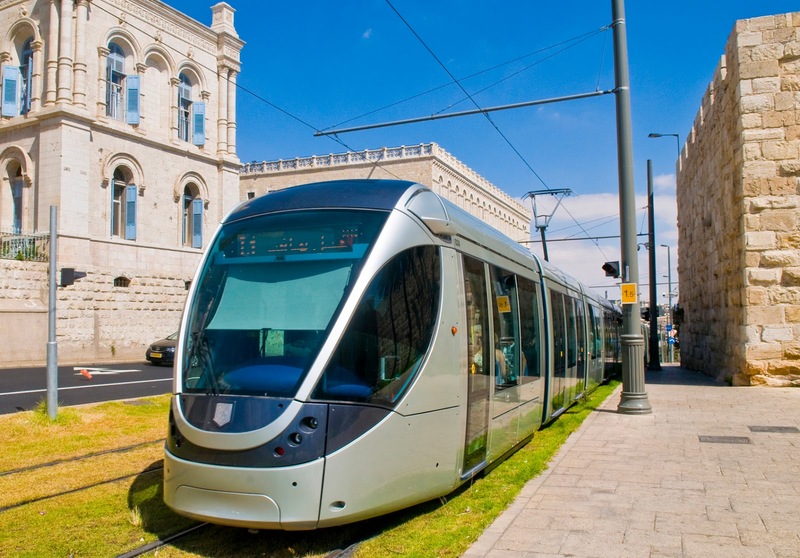 Some of the arguments for the proposed route are first that it will be profitable for the private sector operator, and second, once light rail is established it will be easier to roll out to the airport and expand to other not-so-profitable routes. But in the final analysis, Capital Metro won't solve Canberra's public transport woes. It may well be an opportune time to invest in Capital Metro, especially with the feds providing a substantial contribution. But when $1bn is to be invested in light rail while Action buses remains so poorly managed, it is difficult to see how things will magically improve because of light rail, and many Canberrans remain unconvinced. That's not to say that Capital Metro will not be be just what Canberra needs, but with debate about such a major project hinging on media one-liners supported by a rather flimsy business case, Canberrans can be justifiably sceptical about the ACT Government's ability to get this one right.